A few weeks ago, Daddy Eco noticed a frail old man walking along the footpath. He seemed to be struggling so he pulled over and asked if he was OK.
“I am, would you like a lift?” offered Daddy Eco. They chatted on the way to the shops and Daddy Eco learnt that the gentleman had migrated from Turkey many years ago, suffers from arthritis, and now lives alone. Daddy Eco dropped him at the shops and returned to take him home an hour later. He also gave him his phone number and told him to call if he wanted a lift to the shops or anywhere else. The gentleman was surprised and grateful. "That’d be fantastic mate. Are you Australian?" he cheekily asked with a hint of sarcasm. It is sad that this man was surprised that an Australian was offering to help. “That just doesn’t usually happen here” he said. I can see why he thought that. The sense of community that Australians were renowned for only a few generations ago is gone. It seems we rarely do anything for anyone unless we can gain something from the transaction. The gentleman has since rang for "a social call" a couple of times and recently asked if Daddy Eco would pick up a few things for him each week when at the supermarket. He was very specific about which juice he needed and which bread he liked and why. Daddy Eco didn't have the heart to tell him that we don't shop at the supermarket anymore, so we've decided Daddy Eco can visit the supermarket to buy for him, despite our skipping the supermarket challenge. He seems truly appreciative of Daddy Eco's time and even wrote to friends overseas of this ‘young man who has been helping him’. He has also told Daddy Eco to visit whenever he feels like it. “I don’t get many visitors, and if I died, nobody would notice and I’d smell out my neighbours” he said only half joking. Wouldn’t it be lovely to live in a community where friendships between old and young were normal? Do you know any of the elderly within your community? Do you give them a hand? I used to be less than enthusiastic about preserving food. I wanted to take advantage of cheap seasonal produce, but was turned off by the seemingly complicated process of bottling (or canning for those of you in the US). The time consuming and messy methods involved in jam and sauce making also deterred me. I’ve since fallen in love with preserving because I’ve learnt that you’re rewarded many times over for your effort. I’ve also realised preserving food doesn’t have to be hard or time consuming. 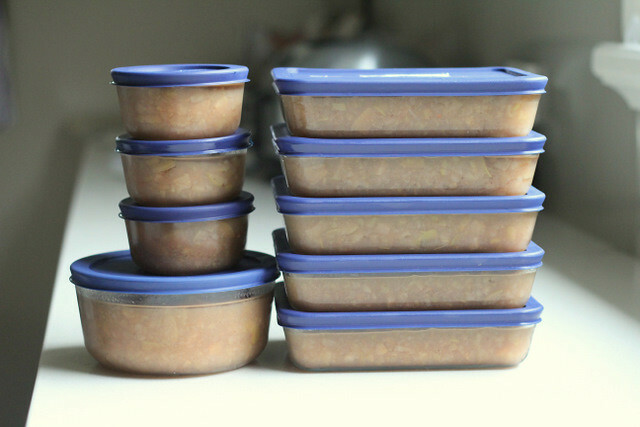 One of the easiest and fastest ways to preserve food is to freeze it. 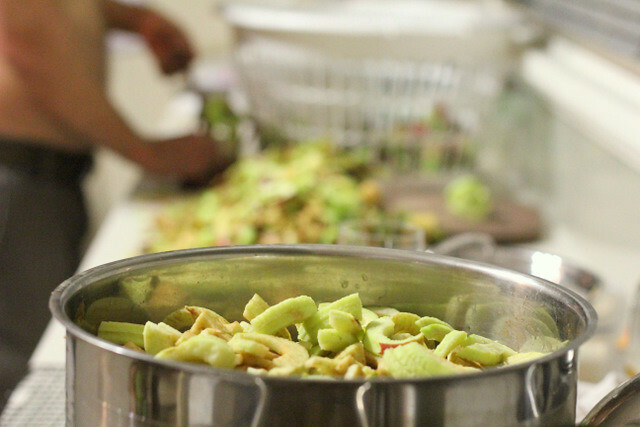 All those apples we recently foraged from the side of the road were turned into stewed apple* last night. We now have a good freezer stash of stewed apple waiting to be added to plain yoghurt, cereal and porridge and to be turned into apple sponge pudding, apple muffins, and apple crumble. Not bad for something that we foraged for free. Bananas were only 99c a kg at a local greengrocer this morning so I bought a few kg to top up our freezer stash. They’ll be made into chocolate banana ice-cream, smoothies, and Little Eco often enjoys sliced frozen banana in a bowl. 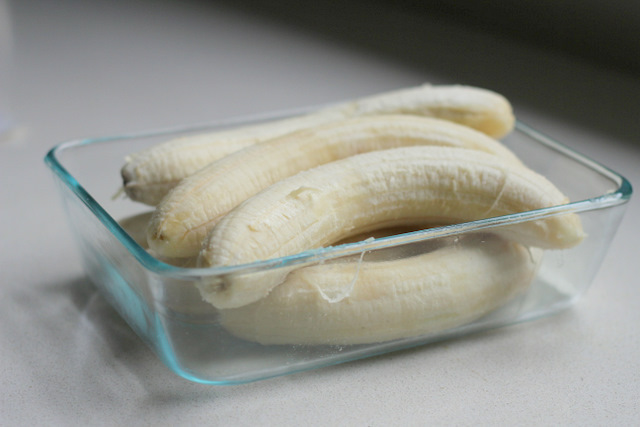 I simply peel the bananas, place them in a container and freeze. 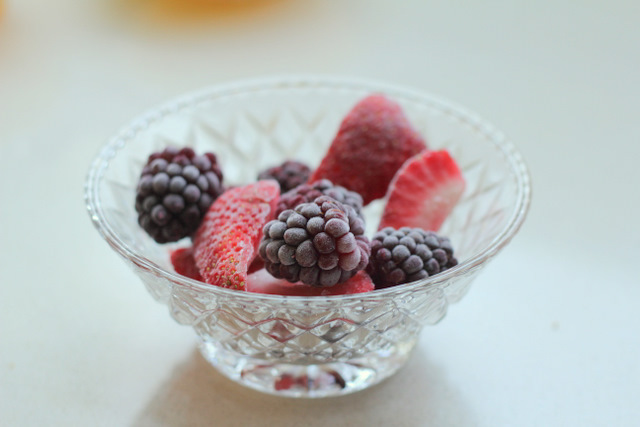 Berries such as strawberries, blueberries, and raspberries are also easy to freeze. Simply wash, air dry on a tea towel, spread out on a baking tray (so that they don’t stick together when freezing), freeze, then place in an air-tight container. 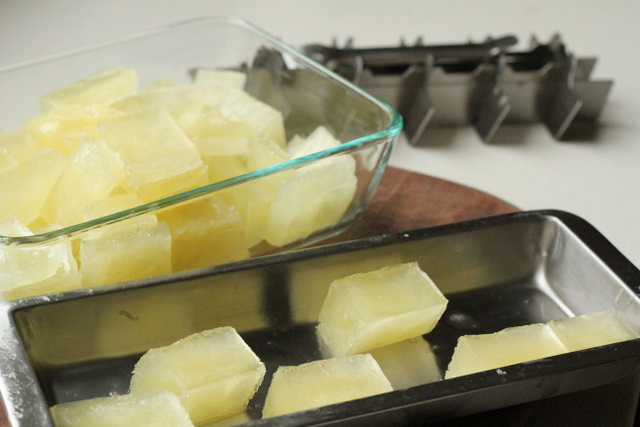 Simply freeze the juice in an ice cube tray and then put into a container. I made the above batch a few months ago with a super cheap bag of very ripe lemons and only ran out a few days ago. Each time I need lemon juice for a recipe (mostly hummus which I make regularly) I simply grab a cube or two. The Australian lemon season finished a month or so ago, so i'm planning to buy some while they are still available. I don't wan't to be tempted to buy imported lemons. 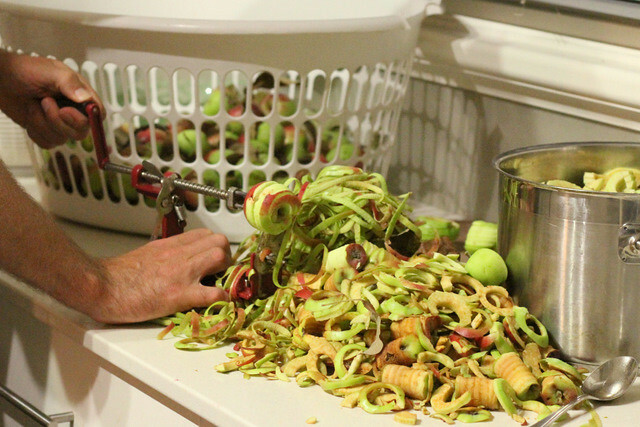 Peel, core and chop your apples. Place apples in a saucepan, add enough water to cover half of the apples and add a tablespoon of brown sugar and 1/2 a teaspoon of cinnamon for each kg of apples. I don’t actually weigh out the apples and simply guess amounts. It’s hard to go wrong. 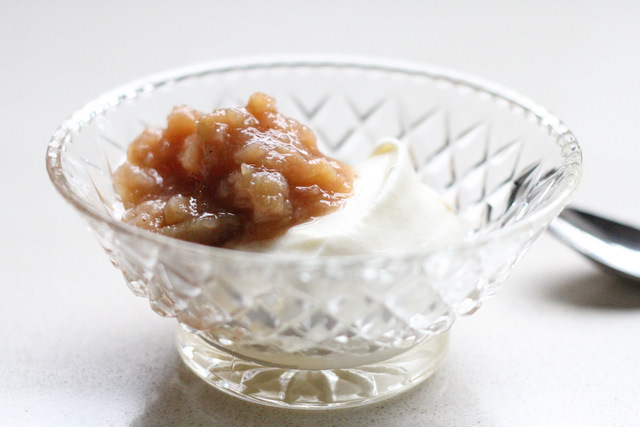 This makes a fairly tart stewed apple, so if you like yours sweeter add more sugar. Cover and cook on low heat for 30-45 mins or until apples are soft, stirring occasionally and adding more water if needed. Do you preserve? What’s your favourite preserving method? 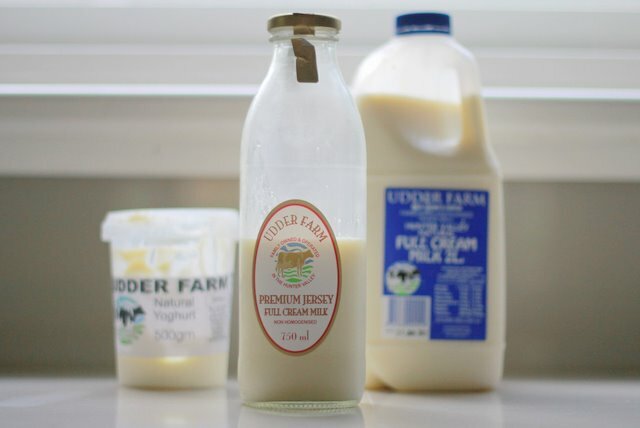 Speaking of preserving, Dixibelle wrote a post recently on making fermented kefir drinks. I'm interested and would love to give these healthy drinks a go. Have you made kefir drinks before? "I dream of living close to nature; having space to grow food; having a teeny little ecological footprint; and being part of a community." You might recognise these words from my introduction to Little Eco Footprints. I know I can fulfil that dream living here in the city. 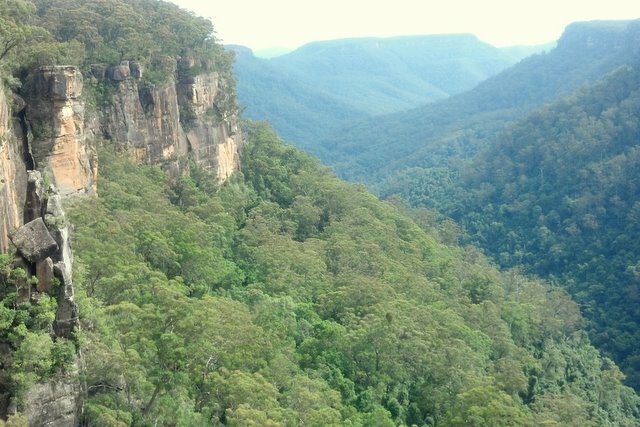 We connect with nature every now and then in local parks, in our backyard, or on weekend bush walks and camping trips. I have more than enough space to grow food and even if we did start to run out, there’s always a community garden, sprouts on the kitchen bench or pots on the veranda. We have access to weekly farmer's markets, public transport, a large pool of like-minded people, and most places are within cycling distance. And amongst the thousands of people within our city we’re finding our community. They may not live next door, or even in the next street, but I feel like we’re a community. But despite its benefits, I sometimes feel like urban living is just not quite right for our family. I feel like something is missing. I’d love to live somewhere where it was safe for Little Eco to explore her neighbourhood. With paddocks to wander through and bushland to play in. Where I knew each and every neighbour by name. Where neighbours cared about the health of our planet as much as me. With space for a flock of ducks and perhaps a share in a cow. A place free of contaminated soil and angry neighbours. An opportunity has arisen and this vision is looking like it could be a reality. 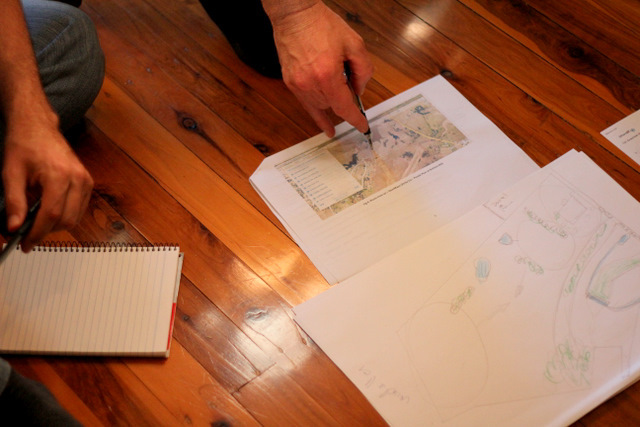 An Eco Village is being planned in the Hunter Valley. There’s 27 hectares of farmland on the urban fringe of Maitland. There’s a vision of clusters of sustainable homes amongst a communal playground, farmland, bushland, and of course a pizza oven where neighbours can gather. The vision is broad at this stage but we have only two weeks to secure the land before it’s snapped up by developers. Are you interested in being part of this project? Perhaps you are interested in one day living in the village? 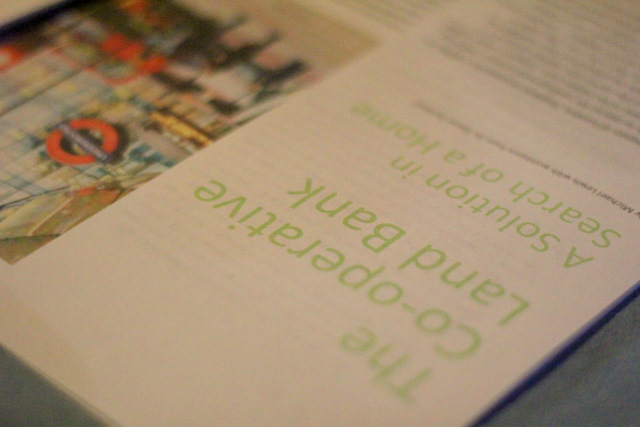 Or perhaps you see it as an interesting project you would like to be involved in? 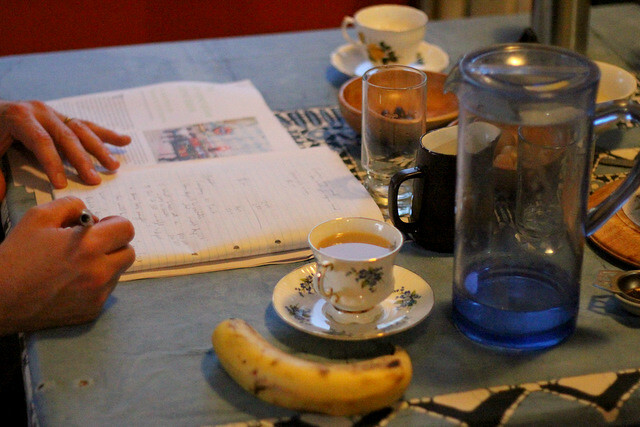 Or perhaps you have experience in developing an eco village and are willing to offer advice? For more information and to express interest contact Mark from Purple Pear Organics. 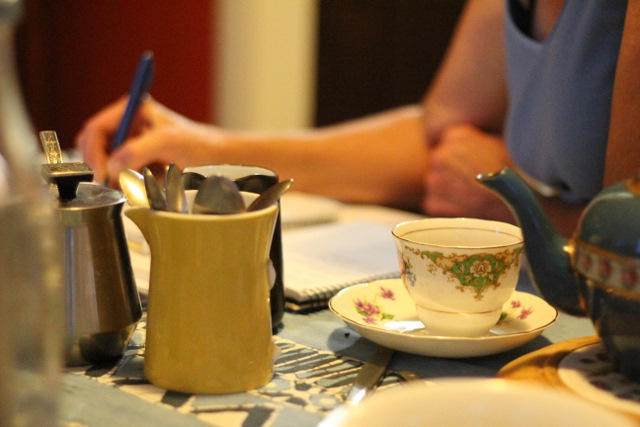 Have you, or would you live in an intentional community? I've changed my attitude to car trips over the past few years. The journey has become almost as important as the destination. I used to dread long car trips, but a change in attitude, a packed lunch, some snacks, and a thermos of tea have changed that. I now well and truly love slow travel. We had to drive to the south coast of NSW last weekend. It's supposed to be a four hour journey, but it took us almost seven hours. We stopped to forage apples from the side of the road. 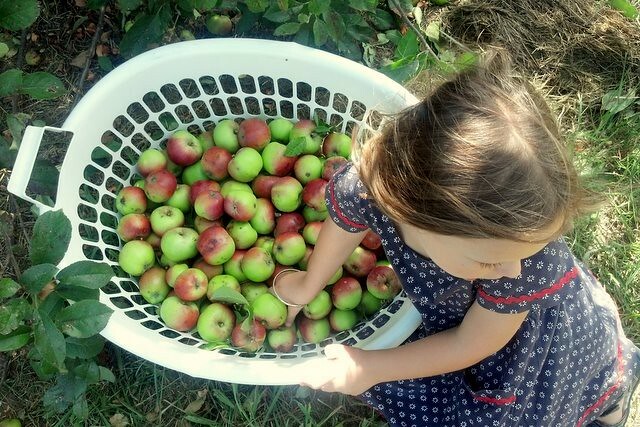 Little Eco enjoyed exploring the huge old tree and picking apples. She insisted on eating a few despite their bitter 'not quiet ripe' taste making them more suitable for cooking. We stopped at the Hawkesbury River foreshore. 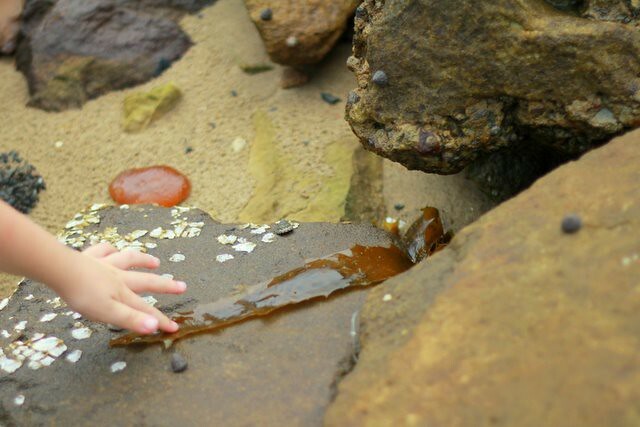 Little Eco ran through the trees, watched a Pelican catch fish, compared the touch of slippery seaweed to slimy wobbly jellyfish, and jumped in puddles. We stopped at the Australian Botanic Gardens in Mount Annan and enjoyed the playground and a wander through through the bush tucker garden. 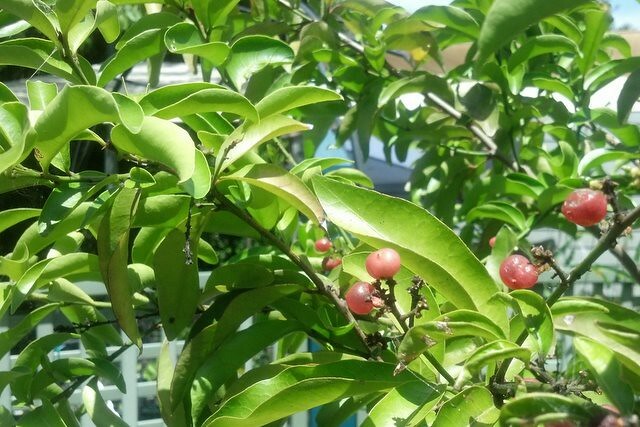 We snuck a taste of various fruits and particularly enjoyed the Orange Berry, which I now plan to add to our garden. We stopped to breath in the beauty of Fitzroy Falls and Little Eco got to see her first waterfall. We watched a pair of Lyre Birds scratching for food and chatted about the stuffed Pelican in the Information Centre that died after eating a plastic bag. We also popped into one of our favourite antique stores. The picture above was taken on a previous trip. 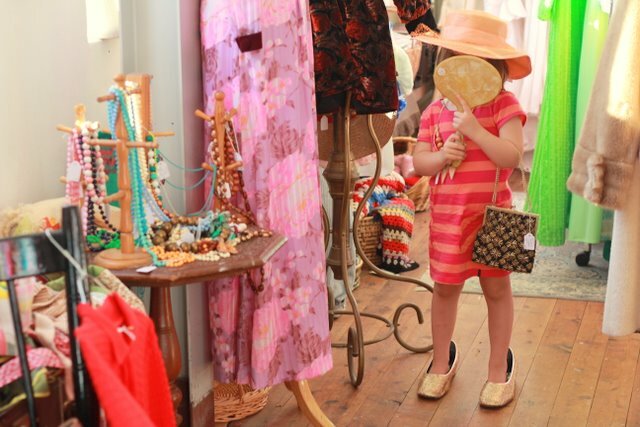 Antique stores and op shops have become a favourite place to stop when travelling. We chat to Little Eco about some of the more bizarre items and point out things from our childhood. 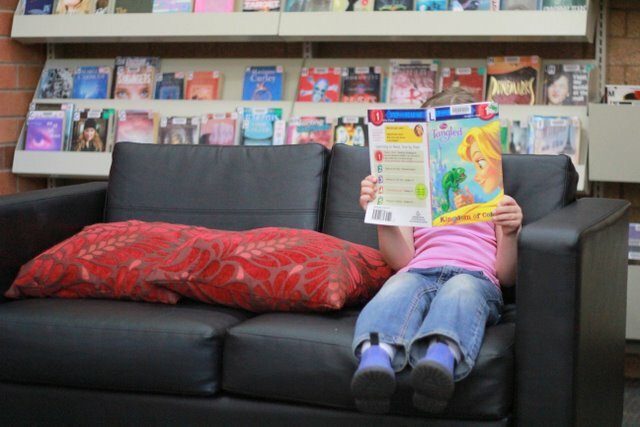 Libraries have also become a favourite place to stop when travelling. They're air conditioned, calm, free, and have power points to charge cameras, phones and lap tops. Playgrounds are another great place to stop. Have you used Playground Finder? You can search for playgrounds by suburb or post code and can even restrict your search to include only playgrounds with toilets. 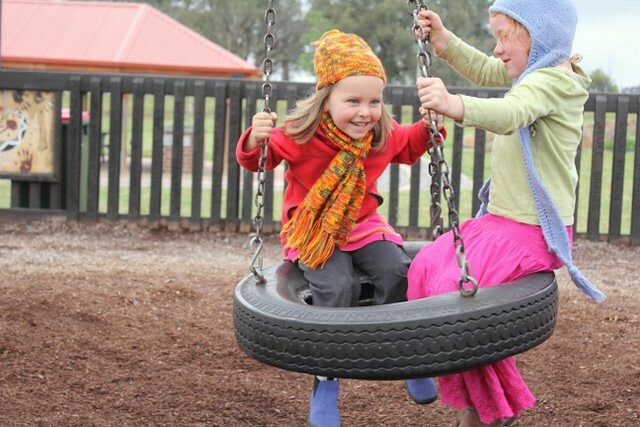 You won't find any of these experiences or learning opportunities in a McDonalds playground. Where do you stop when travelling? Do you speed through towns without a second glance or do you embrace adventure and explore new places? Do you travel prepared with drinks and food or do you find yourself resorting to fast food chains at the last minute? The Little Eco household is skipping super chains, including fast food chains, for all of 2012 as part of our Skipping the Supermarket Challenge. Do the milk wars bother you? Are you frustrated by the way supermarkets treat dairy farmers and milk processors? Would you like your milk to be free of additives and dilution? Do you want to buy real milk but do not know where to buy it? Thankfully, there are an increasing number of small dairies taking back control from the supermarkets and going out on their own. You most likely won’t find this milk on supermarket shelves. Wondering where you can buy this kinder more sustainable milk? FlavourCrusader maintain a helpful directory of Australian organic, family-owned or independent dairies. Is there one near you? Are you willing to pay a fair price for your milk? 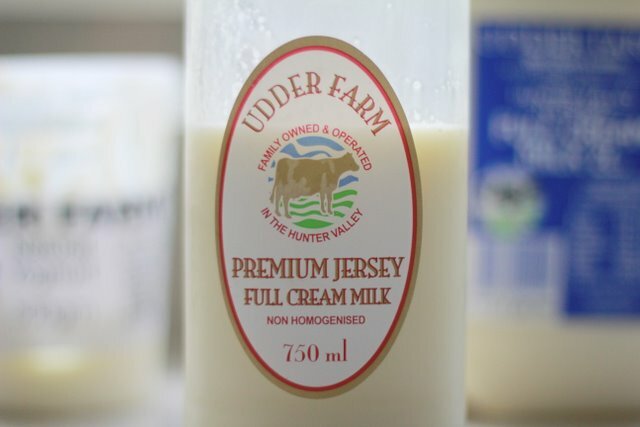 Local family owned dairy Udder Farm recently started selling its delicious non homogenised full cream milk in glass bottles. I was excited when I first spotted the glass bottles, thinking that perhaps I'd be able to return the empties for re-using. I spoke to Jamie from Udder Farm about whether they had plans to collect the empties and reuse or recycle them. They do! Udder Farm will shortly start collecting the empties from place of purchase and will return them to the bottle manufacturer for recycling. Unfortunately, the equipment required to wash and sterilise the bottles for re-use (rather than recycling) is cost prohibitive at this stage. But perhaps if we all started buying milk in glass bottles that wouldn't be the case. Buying in glass is currently more expensive than plastic. Its early days for the glass bottles and production costs are higher. I want to show my support and indicate that I like the glass bottles so each time I buy milk I buy a plastic bottle and a glass bottle. I won't be returning my glass bottles for recycling and instead will reuse them myself. I've found them to be perfect bottles for homemade tomato sauce. This post is one of a series that will help you skip the supermarket. Perhaps you’ll consider joining the Little Eco Footprints household in skipping supermarkets, shopping malls and super chains? The envionment, your local economy, and Australian farmers will be grateful. Don't forget to enter the 4MyEarth giveaway. It's open to international entries and closes Monday evening.